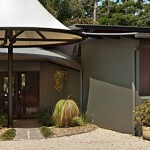 Azabu boutique accommodation at Byron Bay comprises of five suites designed as open plan studios. The extra touches, such as timber paneling, polished floorboards and large windows inviting natural light throughout the day enhance your forest retreat experience. 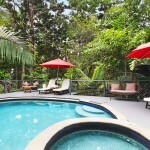 Double doors open onto your private shaded balcony overlooking the lush native hoop pine trees. Fully equipped rooms for your comfort and needs. Each boutique suite is fully equipped with telephones, refreshment facilities, split-cycle air-conditioning, LCD televisions, bathrobes, refrigerators, WIFI and CD players. 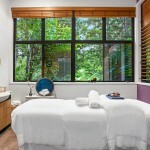 Also there are indoor and outdoor retreat facilities to enjoy. You may like to entertain guests around the pool or in the lounge area by the open fire in winter, the facilities are yours to enjoy.